The population of the Assa people seems to be lower than it once was because an eastern branch merged with the more numerous Maasai people in the Manyara Region. Their population is only 700, they are unreached, and life expectancy is 55 years. This people group lives only in northeastern Tanzania. Tanzania is one of the world's poorest nations. Over one million children are orphaned because of AIDS. Residents of the Manyara Region where Assa people live, are mostly farmers. Mining of Tanzanite gems, and tourism are also occupations in their part of Tanzania. Assa people are 95 percent animistic, meaning that they look to the spirit world. Witchcraft is widespread among them. 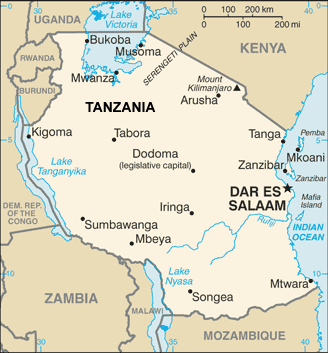 They have not been influenced by relative religious freedom existing in Tanzania. Bible resources, written, audio, and visual are available in their spoken language. There are no known believers in Lord Jesus Christ among them. Widespread systemic poverty affects the Assa people. They need help to establish and maintain schools, medical clinics, drinking water, and sanitation to improve their lives. 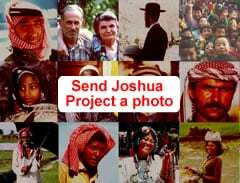 Although Scripture resources are available in their language, they need someone to tell them. Someone must teach them. Will it be you or someone you know? * The Church in Tanzania is shallow and must be discipled to reach its own people. * Health issues are serious and must be addressed if people are to live long enough to experience God's truth and abundant life. * Pray for broken intercessors who will kneel before heaven's throne for as long as it takes to see the Assa people of Tanzania reached for Christ. https://en.wikipedia.org/wiki/Asa_peopleView Assa in all countries. Location in Country: Manyara region: central Maasai steppe, Landenai, Ndovu Okutu, Lolbeni villages; reportedly also in Lemelebo, Landrobo, Naitomani districts.